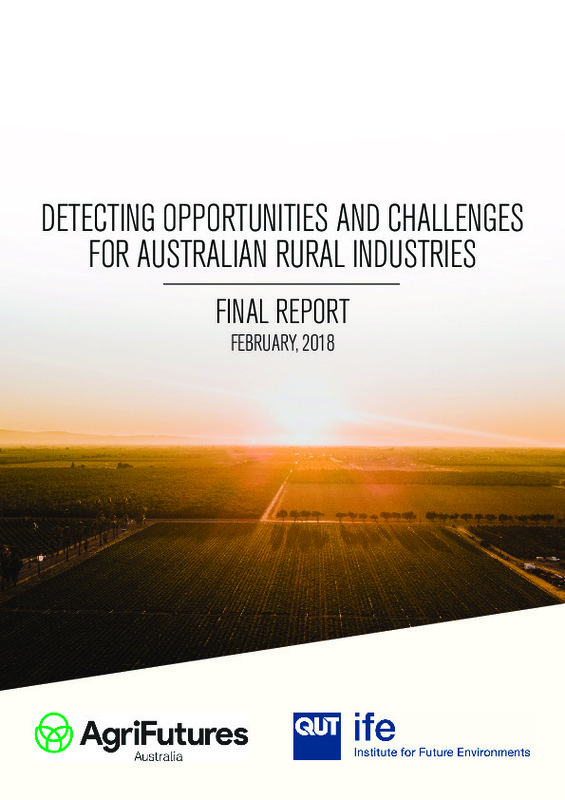 This report is the final report of the Detecting Opportunities and Challenges for Australian Rural Industries Project. The project was conducted as part of AgriFutures Australia’s initiative to anticipate technologies that present potential opportunities and challenges to Australian rural industries. Developing this capability is critical for managing risk and informing future directions. Over the course of the project, a methodology was developed in line with this initiative. It incorporated a mix of foresight methodologies, including data mining, literature review, Delphi questionnaires and visualisation. 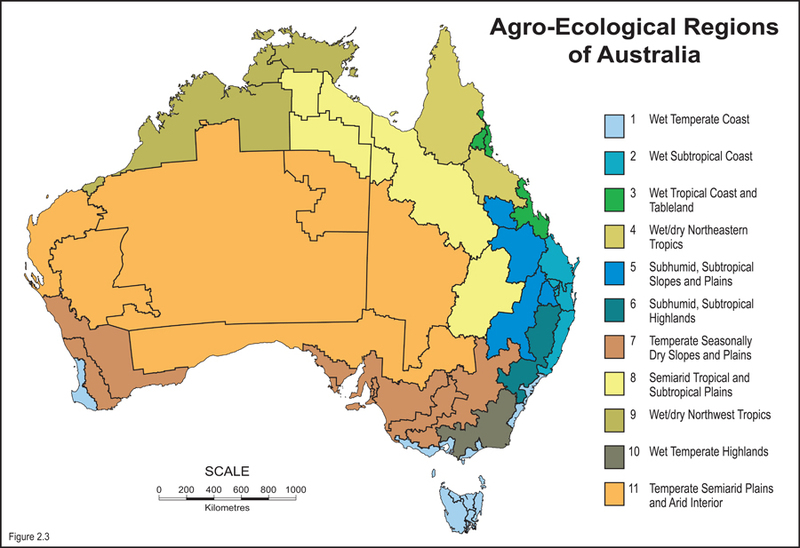 Each of these methods were used in an interactive approach that focused on detecting emerging technologies from a range of different industries, and then through systematic assessment, reposition and imagine those selected technologies in an Australian rural context. The effectiveness of this methodology is evident in each of the Horizon Scans completed to date. These have led to a watchlist of emerging technologies that offer potential opportunities and challenges to Australian rural industries. The purpose of this final report is to summarise the watchlists and communicate the potential impact that these technologies have for Australian rural industries.